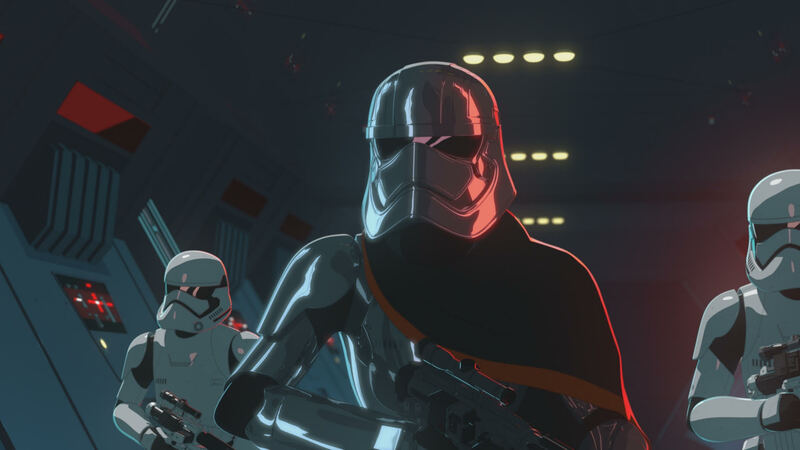 “Star Wars Resistance” is just around the corner, and to get us even more excited with just over a week to go until the premiere, Lucasfilm has released a brand new extended trailer that shows off a lot more new footage, and at last shows the conflict our hero pilots will have against the First Order, including our first look at Captain Phasma! You can check out the new trailer sent to us from Lucasfilm in the video above. It’s kind of hard to believe that a brand new “Star Wars” animated series is already here, but “Star Wars Resistance” kicks off in just ten days on Sunday, October 7th!